Na música, como na vida, a impermanência das coisas é a única verdade que alimenta o desenvolvimento e a criatividade da nossa existência. Da existência de tudo afinal. Quando nos apercebemos daquilo que uma coisa é, esta já não o é da mesma forma. Ou somos nós que olhamos para ela de outra maneira. Esta é então a razão pela qual esta música se recria e se transforma a cada momento e nunca se repete. Impermanence é o 17º disco com Carimbo Porta-Jazz, o primeiro resultante da parceria Guimarães Jazz / Porta-Jazz. “Axis Mundi” é o disco de estreia do sexteto liderado pelo vibrafonista Rui Filipe Freitas, e o 32º com Carimbo Porta-Jazz. Composto por sete temas dos quais seis são composições originais do lider, “Axis Mundi” surge como pretexto para uma jornada jazzística feita de sobriedade e êxtase e que tem como fim último a partilha do imaginário musical destes músicos. "05:21" descreve o primeiro momento do amanhecer. A narrativa do álbum sugere o percurso de alguém que atravessa esta hora do dia recorrentemente, enfrentando um turbilhão de pensamentos e sensações que o levam numa viagem alucinante que apenas termina quando por fim consegue adormecer. Book of Rhapsodies Vol. II is Ghost Train Orchestra's fourth album, following their highly acclaimed album Hot Town (2015). In this adventurous installment, Ghost Train Orchestra performs Brian Carpenter's surreal and modernistic re-imaginings of five unusual ensembles from the late 1930s: The Hal Herzon Septet, The Alec Wilder Octet, The John Kirby Sextet, The Raymond Scott Quintette, and Reginald Foresythe and His New Music. Decades before composer Gunther Schuller coined the term "Third Stream" to describe a genre straddling the line between jazz and classical music, New York was the epicenter of a new movement of composers whose work seemed to exist outside the margins. In the late 1930s, a group of forward- thinking composers began creating small ensembles with unorthodox instrumentation to realize some of the strangest and most evocative music of the period. Full of loving attention to detail, contemporary energy and attitude, plus state-of-the-art production, Book of Rhapsodies Vol. II picks up where Book of Rhapsodies left off in 2013, creating a rarely-heard genre of tone poems and chamber music for orchestra and choir. Produced by Brian Carpenter and mixed by Grammy-award winner Danny Blume, the album delivers the rich experience of transporting the listener to the past and using that past to transform the future. Acclaimed artist Noah Woods created the cover and booklet artwork inspired by the many strange and descriptive song titles. Book of Rhapsodies Vol II will be enjoyed by a young audience interested in exploring outside the mainstream of today's rock, pop, and jazz. 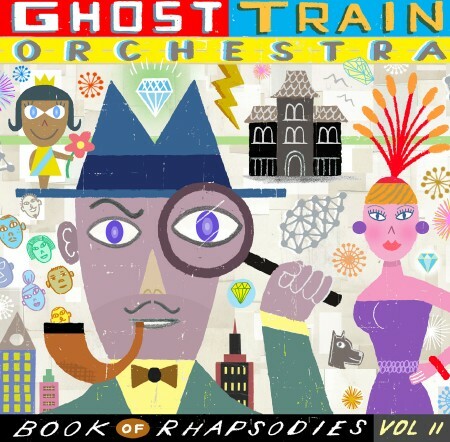 All three of Ghost Train Orchestra's previous albums featured on several top ten lists: NPR, New York Jazz Record, Boston Globe, Jazz Times, Burning Ambulance, and Stereophile. After leader Brian Carpenter was interviewed on NPR's Fresh Air with Terry Gross in 2011, their debut album reached the top 10 of the Billboard Jazz charts in the weeks following. DownBeat raved "Carpenter and his little big big band don't just recreate musical museum pieces; they breathe fire and life into this amazing music." Burning Ambulance listed Book of Rhapsodies in their top ten of 2013, writing "Carpenter is on a mission...rooting out obscurities and tweaking the arrangements until they pop like fireworks." Of Book ofRhapsodies, Andrew Velez of New York City Jazz Record wrote, "This is an amazing ensemble, playing music like no others these days, creating their own electrifying musical gold." 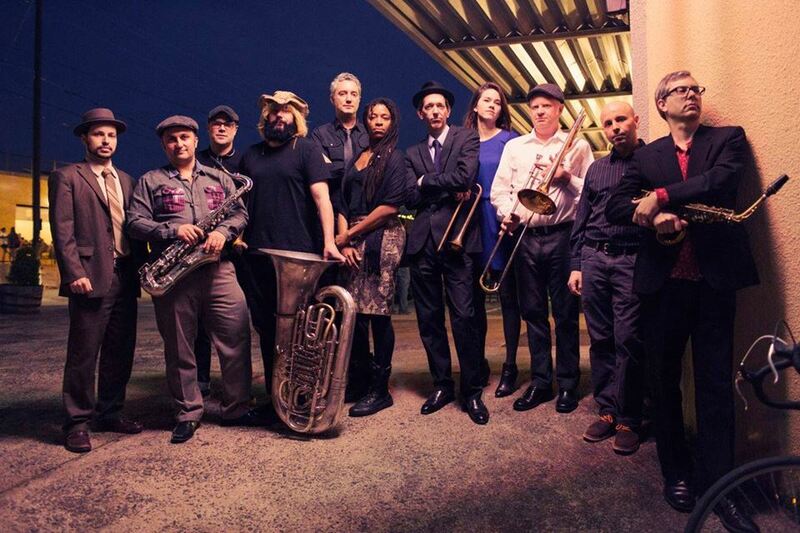 The Ghost Train Orchestra was formed in 2006; since then the band has performed in New York and festivals and venues across the country, including last year's standing room only show at the Chicago Jazz Festival. Andy Taub at Brooklyn Recording Studio recorded Book of Rhapsodies after a string of monthly shows. Carpenter transcribed the originals and then completely rearranged and reassembled the pieces for orchestra and choir. The album features an outstanding roster of talent: violinist Mazz Swift, alto saxophonist Ben Kono, clarinetist Dennis Lichtman, saxophonist Petr Cancura, trombonist Curtis Hasselbring, tubist Ron Caswell, guitarist Avi Bortnick, bassist Michael Bates, drummer Rob Garcia, and accordionist Rob Reich. Carpenter is the founder of the Boston-based band Beat Circus that recorded a "Weird American Gothic" trilogy of dark Americana albums. He also leads Brian Carpenter & the Confessions, a rock band formed in Boston with Carpenter as the lead singer and lyricist. In addition, he hosts his radio show Free Association at WZBC-FM Boston College and produces radio documentaries there, including a recent 3-hour show on sound design. 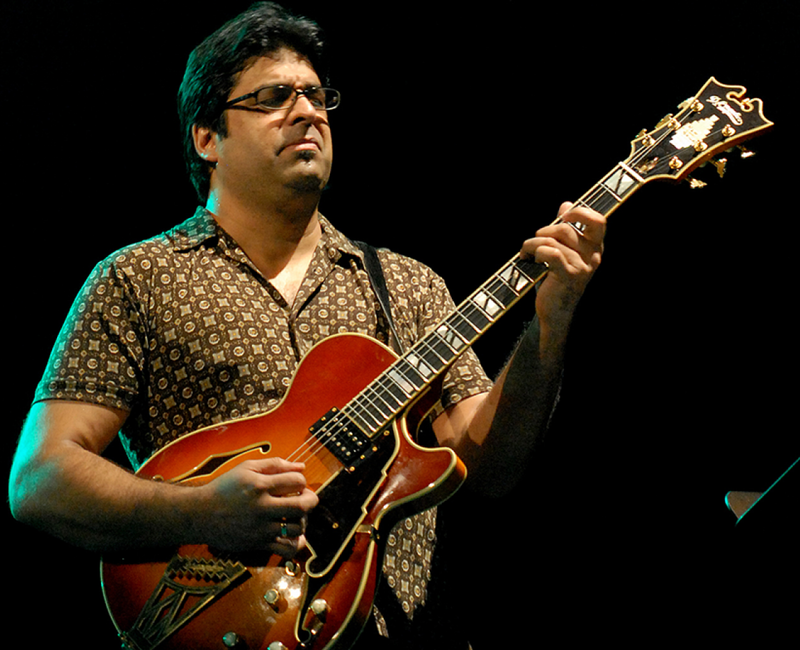 It seems natural to refer to the music of Rez Abbasi as a hybrid, given the guitarist/composer's penchant for combining the traditions of South Asian music with his own modern jazz voice. That description ceases to fit as soon as one hears the music, however. In Abbasi's singular approach, this merging of influences feels less like a chimera, a patchwork of distinctive yet still identifiable parts; it is instead an evolution, a wholly new creature that bears distinctive traces of its antecedents yet has a form and beauty all its own. 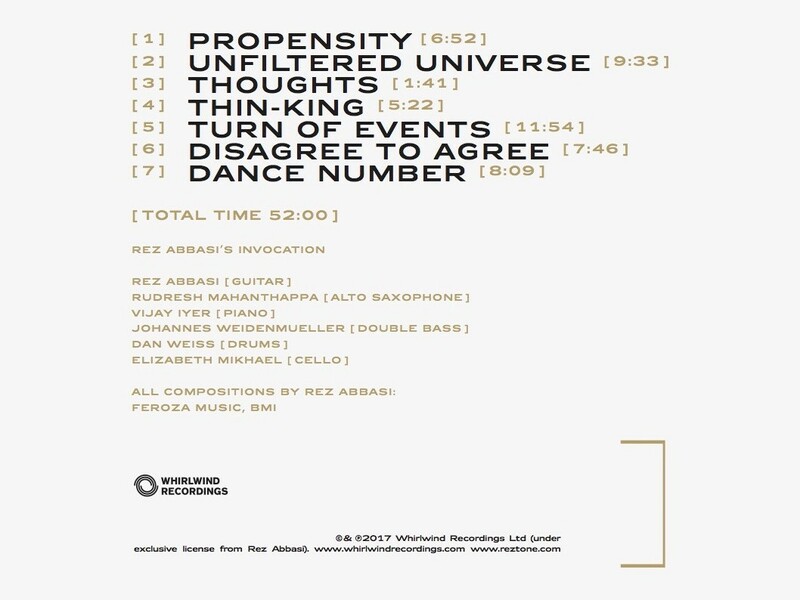 Such is the case with Abbasi's 12th album, Unfiltered Universe (due out October 6, 2017 on Whirlwind Recordings), the third album in a trilogy exploring different South Asian musics with his stellar quintet Invocation. The band brings together five leading voices in forward-looking jazz, all of whom have extensively studied diverse South Asian traditions, often in collaboration with one another: Abbasi, saxophonist Rudresh Mahanthappa, pianist Vijay Iyer, bassist Johannes Weidenmueller, and drummer Dan Weiss. Where Invocation's 2008 debut Things To Come highlighted the influences of North Indian Hindustani music with guest vocalist Kiran Ahluwalia, and their 2011 follow-up Suno Suno, the Qawwali music of Abbasi's native Pakistan, Unfiltered Universe takes as its point of departure the Carnatic music of South India. Abbasi's experience with Carnatic music can be traced back at least to Mahanthappa's 2008 release Kinsmen, a collaboration with South Indian saxophonist Kadri Gopalnath that merged jazz and Carnatic musicians, and continued through a 2015 project with the Indian-American Ragamala Dance Company. His studies and listening have persisted throughout the intervening years, allowing him to absorb its influence and create new music under its sway that is far from a literal interpretation of its surface qualities. 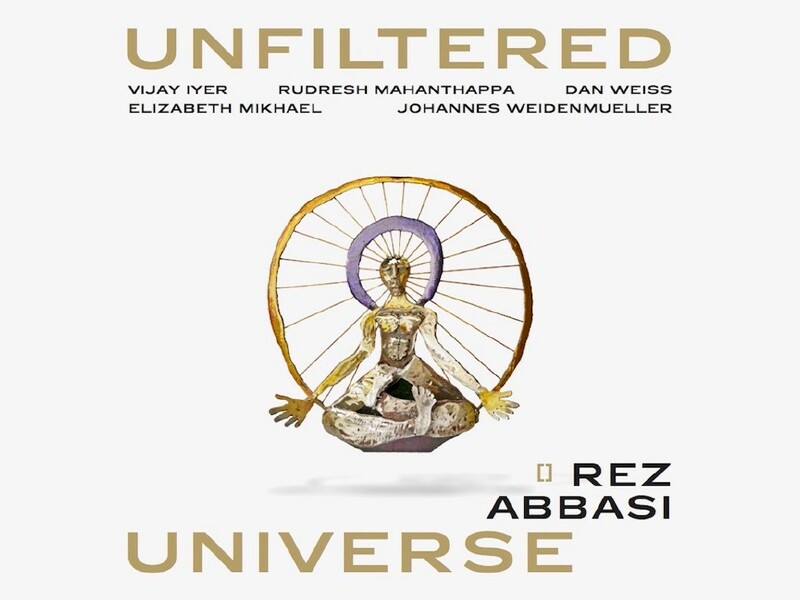 The title Unfiltered Universe refers to the way in which a lifetime of globe-spanning influences were allowed to emerge directly from Abbasi's subconscious into his music. "The idea was to operate from my intuition first while creating these compositions and then later use the thought process to manipulate the music, he says. "It's unprocessed and unfiltered, shining a light on the universe within me. It really brought the fruits of my experiences to the forefront." Such an intuitive approach to composition was a fresh experience for the guitarist, who likens the approach to Jackson Pollock's action painting. "I wanted to let the influences hit the empty canvas and allow that to speak to me as opposed to having a foundational idea of what I was going to create," Abbasi explains. "I didn't want to impose preconceived rhythms or ideas; I wanted to get the essence and energy of what I've taken away from playing with Carnatic musicians and dancers, and to tie that in with everything I've done previously." To realize the music Abbasi reconvened his quintet Invocation, a supergroup of innovative jazz artists who have explored similar territory in disparate ways in their own work. Both American-born musicians of Indian descent, Mahanthappa and Iyer have both delved into South Asian traditions with highly acclaimed results. 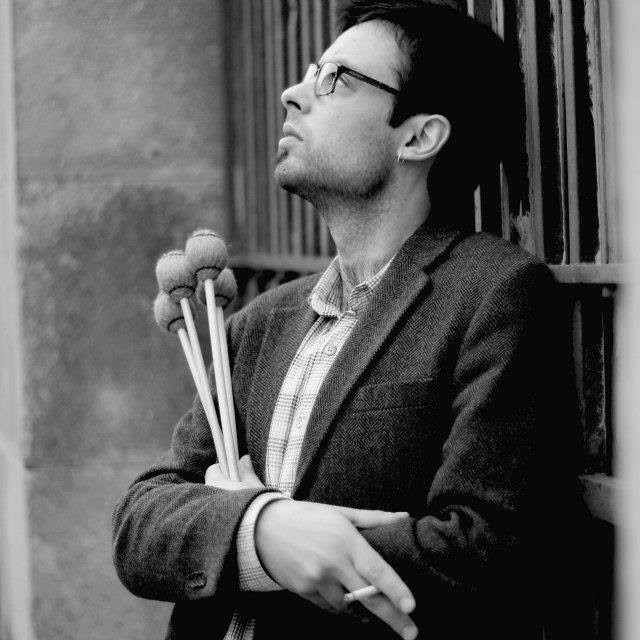 Weiss has brought intensive tabla studies to his inventive approach to the drum kit, while Weidenmueller has co-authored books on metric modulation via his studies in Carnatic percussion. It's a rare group of musicians whose experiences and collaborations have made them uniquely prepared to seize on every nuance of Abbasi's compositions. "I chose these individuals because I knew that whatever I bring to the table, it's going to be supplemented by the wide-ranging history that each carries. With this group, that history contains a fortified education in Indian music and so we don't need to discuss anything Indian, per se - it's already there. For instance, if Dan plays a particular rhythmic idea from his tabla studies, all of us will be able to grab onto it intuitively. That's one reason why the communication is so stimulating within the ensemble." Throughout Unfiltered Universe, the music surges with a uniquely propulsive groove, with sinuous melodies that follow surprising, exotic contours. The title track morphs from meditative to frenetic, while opener "Propensity" bristles with a darting, angular energy. "Thin-King" earns its play on words by managing to juggle the cerebral and the playful, while the 12-minute "Turn of Events" gathers from the abstract to the urgent and disintegrates back again, "Disagree to Agree" captures the tenor of discourse in our current moment in its teeth-gritting tension, and "Dance Number" closes the album with a buoyantly erratic groove that both tempts and challenges the listener to move. The end result of these converging lifetimes of experience, creation, collaboration and study, (un)filtered through the lens of Abbasi's intuitive writing approach, is a strikingly individual voice that never explicitly references its influences but instead evokes the atmospheres and feelings inherent to them. "As a jazz listener you may not necessarily hear the Carnatic influence," Abbasi says, "but you'll definitely hear something different, and ultimately that's what counts." Abbasi has received multiple composition grants in recent years. Unfiltered Universe was supported in part by a New Jazz Works grant from Chamber Music America and the Doris Duke Foundation. It is the 2nd CMA grant he has received for his group Invocation. Most recently he was commissioned by the NY Guitar Festival to compose and perform a live score to the 1929 Indian silent film, A Throw of Dice. The premiere took place in NYC in May with a reprise performance scheduled for September 16th at the Ellnora Guitar Festival in Urbana, IL. 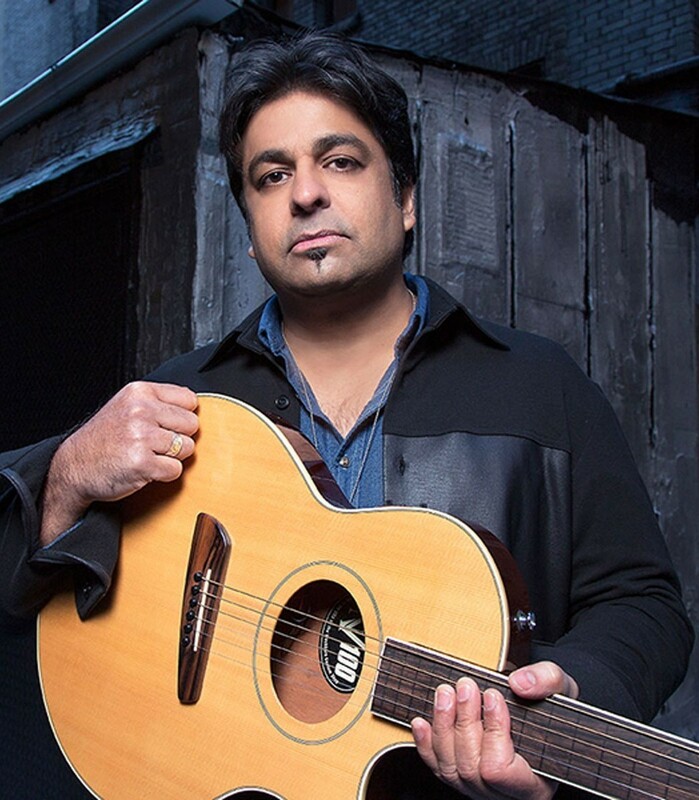 Guitarist and composer Rez Abbasi is an artist who continually pushes new boundaries. Born in Karachi, Pakistan, and raised in Southern California, he studied at the USC and the Manhattan School of Music in jazz and classical music, supplemented by a pilgrimage in India under the tutelage of master percussionist Ustad Alla Rakha. Abbasi's music is a vivid synthesis of all the above stated influences and genres. 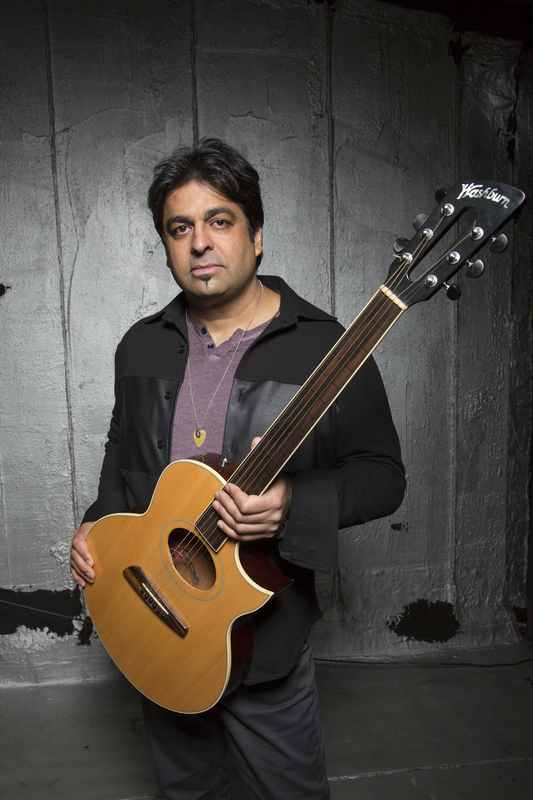 Voted #1 "Rising-Star Guitarist" in 2013's DownBeat Critics Poll and placed in the "Top-Ten Guitarists" in 2015 & 2016, guitarist and composer Rez Abbasi has become one of the most significant musicians on the current scene. Making New York home for the past 25 years, Abbasi has created a unique sound that is stimulated by his jazz pedigree and Indian-Pakistani upbringing. With twelve albums, multiple awards and composition commissions, Rez Abbasi continues to find creative ways to enrich diverse audiences with his musical projects. 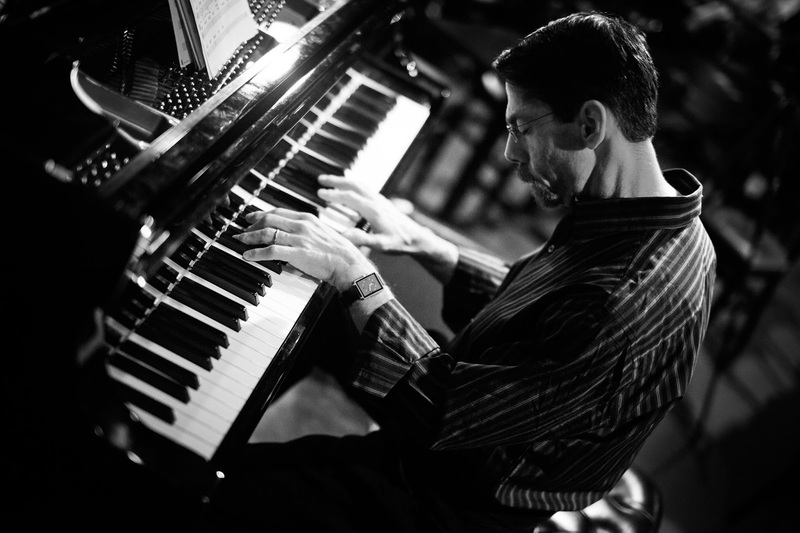 OUT FRIDAY: Fred Hersch's "captivating" new solo CD "Open Book"
Open Book is already earning wide critical acclaim. 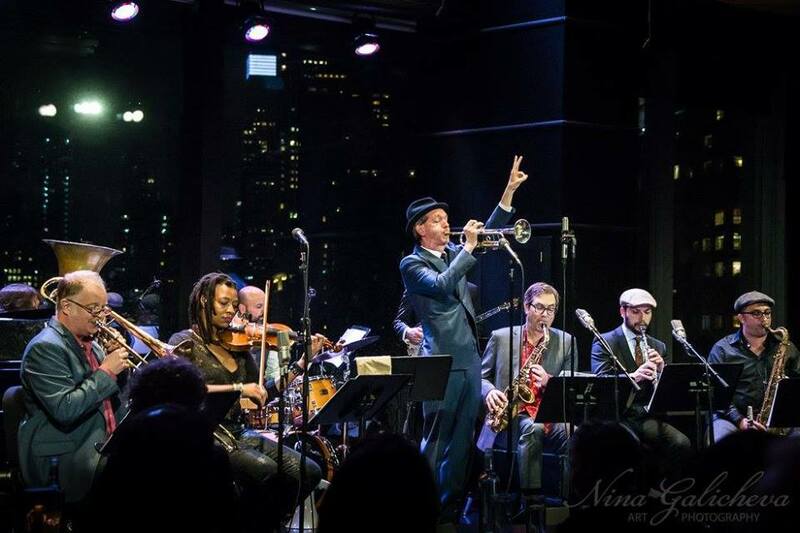 September 15 & 16: Jazz at Lincoln Center presents Hersch's Leaves of Grass with vocalists Kurt Elling and Kate McGarry and an octet in Hersch's widely heralded work celebrating the life and poetry of Walt Whitman. The seven pieces on Open Book (out September 8 on Palmetto Records) offer some of the finest, most unguardedly emotional solo music that Hersch has created in a career unique for its profound poignancy and passion. Recorded in a South Korean concert hall on a superb Hamburg Steinway concert grand piano, the album captures the vital essence of the revelatory adventurousness and intense beauty that have made Hersch one of the most important solo artists in jazz. 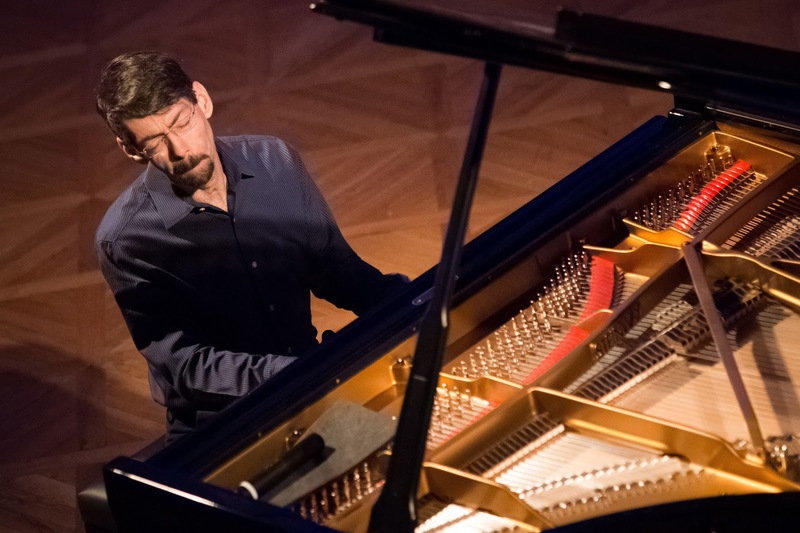 With more than 40 albums to his credit as a leader or co-leader, Hersch remarkably continues to discover new areas of inspiration and depths of feeling. The album arrives during a momentous month for Hersch. On September 12, the esteemed publishers Crown Archetype (Penguin Random House) will release Good Things Happen Slowly, Hersch’s bravely confessional memoir. The book covers the pianist’s meteoric rise in jazz from his sideman days alongside masters like Art Farmer and Joe Henderson to his gradual recognition as one of the most individualistic and innovative artists of his generation, a ten-time Grammy Award nominee and winner of countless accolades including being named a 2016 Doris Duke Artist as well as the same year’s Jazz Journalists Association Pianist of the Year. But it also frankly reveals his story as the first openly gay, HIV-positive jazz musician, tracing his path through hedonistic post-Stonewall New York City to the dramatic two-month medically induced coma in 2008 from which he emerged to make some of the most stunning and captivating music of his career. 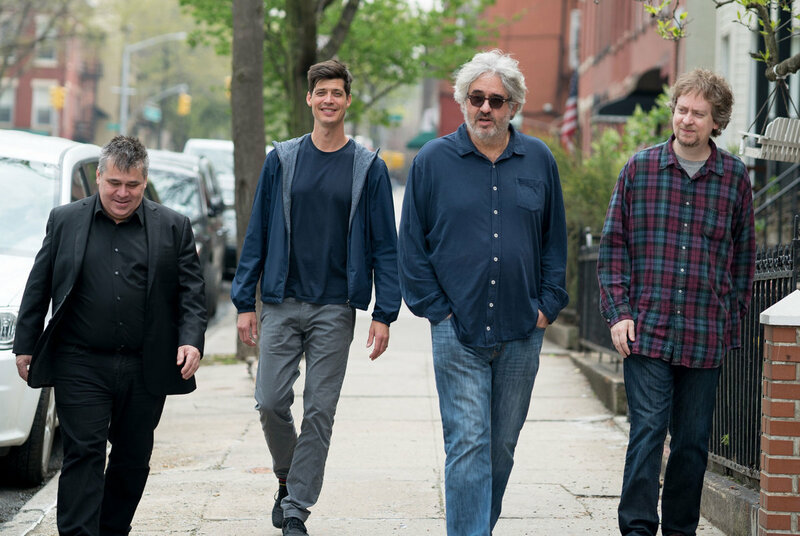 Later that month Hersch will reprise his ambitious Leaves of Grass full-evening piece at Jazz at Lincoln Center’s Appel Room, the first time the song cycle has been performed in New York City since 2005. Vocalists Kurt Elling and Kate McGarry will reprise their roles from the original project, which sets the verse of American bard Walt Whitman. The legendary poet’s timeless ode to the miracle of nature and openhearted love of all beings seems especially vital in our present socio-political moment. 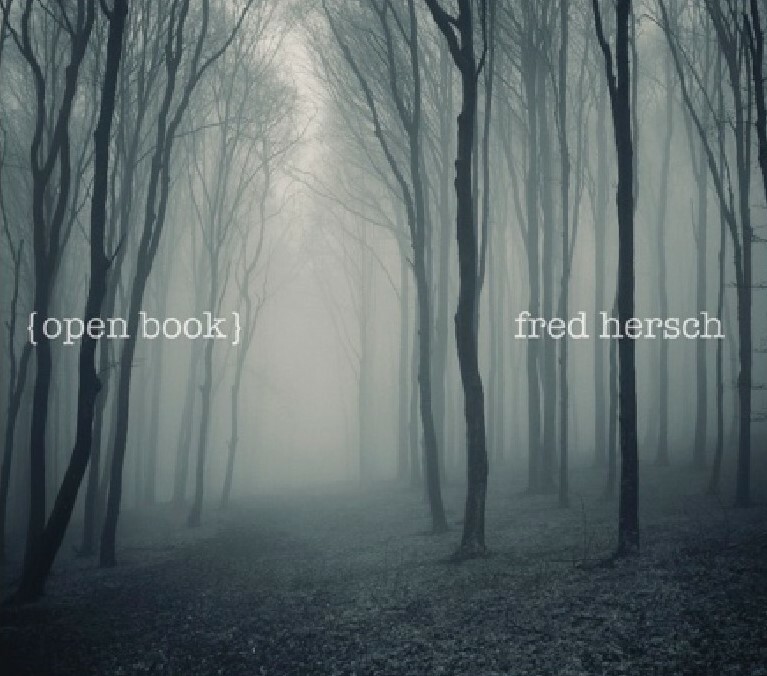 The centerpiece of Open Book, and the spark that ignited the album, is the nearly 20-minute improvisation “Through the Forest.” Unique in Hersch’s extensive discography, the stream-of-consciousness gem is a miniature masterpiece of narrative development, a compelling journey through an abstract, glimmering landscape, revealing that in his early 60s Hersch continues to take creative risks and daunting inventive leaps. “Through the Forest” became the leaping-off point for an album intended to be singularly divulgent and reflective. A few months later, Hersch returned to the same hall and recorded the remainder of Open Book alone in the empty venue (with the exception of Benny Golson’s classic “Whisper Not,” taken from a concert during that return engagement). The album opens with the stark musings of “The Orb,” taken from Hersch’s autobiographical music-theater piece My Coma Dreams. A love letter to Hersch’s longtime partner, AIDS activist Scott Morgan, “The Orb” is the final dream depicted in the show, and in this solo rendition becomes a nakedly heartfelt outpouring of raw but tender emotion. The mood then takes a turn for the playful and swinging on “Whisper Not,” a longtime staple of Hersch’s repertoire that here becomes a vibrant, virtuoso marathon of thematic exploration. 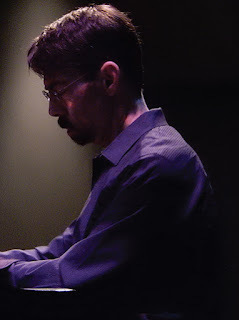 The piece also serves as an ideal mirror to the album’s other composition from the pen of a jazz icon, Thelonious Monk’s “Eronel.” Hersch has long been recognized as one of the premier interpreters of the Monk songbook, but despite including one of the iconic composer’s pieces in every one of his sets for most of his career, Hersch had never tackled this particular tune, co-written by pianist Sadik Hakim. Monk’s original stride-inflected lines come in for a dizzying array of variations in Hersch’s endlessly imaginative take. 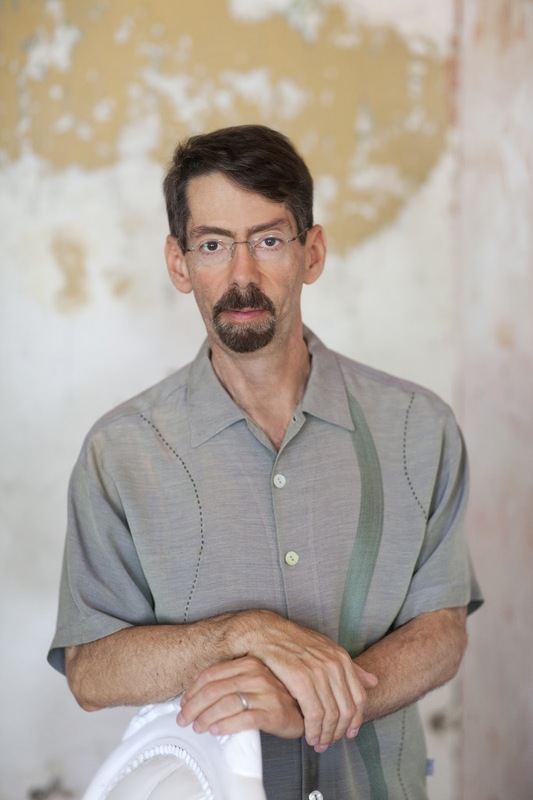 The music of Brazil has also been a constant in Hersch’s career, in particular the music of Antonio Carlos Jobim, the subject of one of the pianist’s earlier solo efforts, 2009’s Fred Hersch Plays Jobim. “Picture in Black and White” is a new addition to that repertoire, majestically transformed from a bossa nova feel to a crystalline hybrid with Chopin’s last nocturne. On the other side of “Through the Forest” in the album’s symmetrical structure comes Hersch’s own classical-flavored “Plainsong,” a spare, lyrical piece composed in the bucolic setting of the MacDowell Colony, the inspirational artists’ retreat in rural New Hampshire. Get ready for the new releases of BRZZVLL & De Beren Gieren! De Beren Gieren & BRZZVLL? Get ready, because within a month the long-expected albums of BRZZVLL, Waiho, and De Beren Gieren, Dug Out Skyscrapers, will be released on Sdban Ultra! Both bands will cross the Netherlands, Belgium and the UK to present this new repertory to you. BRZZVLL already kicked off last weekend: their showcase concert during the Belgian Jazz Meeting resulted in a lot of positive feedback. Next up is September Jazz in Bruges. Dug Out Skyscrapers from De Beren Gieren then will premiere at the B-EST Festival in Flagey (12/9). Better than anyone else, De Beren Gieren know how to blend an avant-garde sound with melodious pieces and references to the great classical composers of the 20th century. They effortlessly shift from more rigidly styled compositions to improvised sections and thus reveal the pulsating and ominous futuristic sound of a new world. More so than in previous albums, on Dug Out Skyscrapers harmonies and compelling grooves interact and disclose the future of the past... the album’s ‘Leitmotif’. Like dedicated archaeologists from the future, De Beren Gieren use subtle electronic effects to uncover the potential of their acoustic instruments layer by layer. The piano echoes further, the drums split up into even more numerous fragments and the bass reaches deeper still into its musical universe. The compositions take on a 3D-dimension in this acoustic view-master and haul the listener from recognition to renewal, from nostalgia to exaltation. Like The Heliocentrics, BRZZVLL is a band mainly known for its repeated collaborations with strong frontmen. After two inspiring adventures with poets & ‘Nuff Said brothers Anthony Joseph ('Engines') and Amir Sulaiman ('First Let’s Dance'), BRZZVLL resolutely strikes the instrumental chord on this new album. The septet performs in its most quintessential form: a cast-iron instrumental core. Don’t expect compelling afrobeat rhythms but a full sound alongside a range of intonations that unveil the various spectra of these virtuoso musicians. Laid-back sax lines alternate with sharp guitar riffs, backed by the repetitive trance of two duelling drummers. The album is brimming with heavy grooves, to which the musicians associate uplifting saxes or futuristic keyboard or EWI sounds: a psychedelic cocktail of ‘space meets funk’, not mentioning a cheeky wink at the universe of Sun Ra and similar others. Spellbinding, ominous sounds intersperse with cheerful impetuosity. Each track subsumes a sort of inherent tension, evolving towards a new balance: hope vs. despair, old vs. new, tradition vs. futurism, mellow vs. impassioned, mesmerizing vs. liberating... BRZZVLL are the shamans of a new musical world! The standard-bearer on the cover, as well as the title Waiho (Maori for ‘leaving’), refers to what the album epitomizes: a journey to a new world. A world in which opposites harmonize, differences merge without ever lapsing into a monotonous sludge. A world in which colours point out & contrast. A world which blurs the boundaries between the sounds from a glorious past and the sounds foreboding a captivating futuristic new world. Etiquetas : BRZZVLL, De Beren Gieren! French philosopher Roland Barthes once faulted music criticism for relying on adjectives. The music of Snakeoil is such that adjectives do leave much to be desired. In that spirit, purged at the outset are choice adjectives that could be used to describe it: slipstream, epic, implosive, chameleonic. 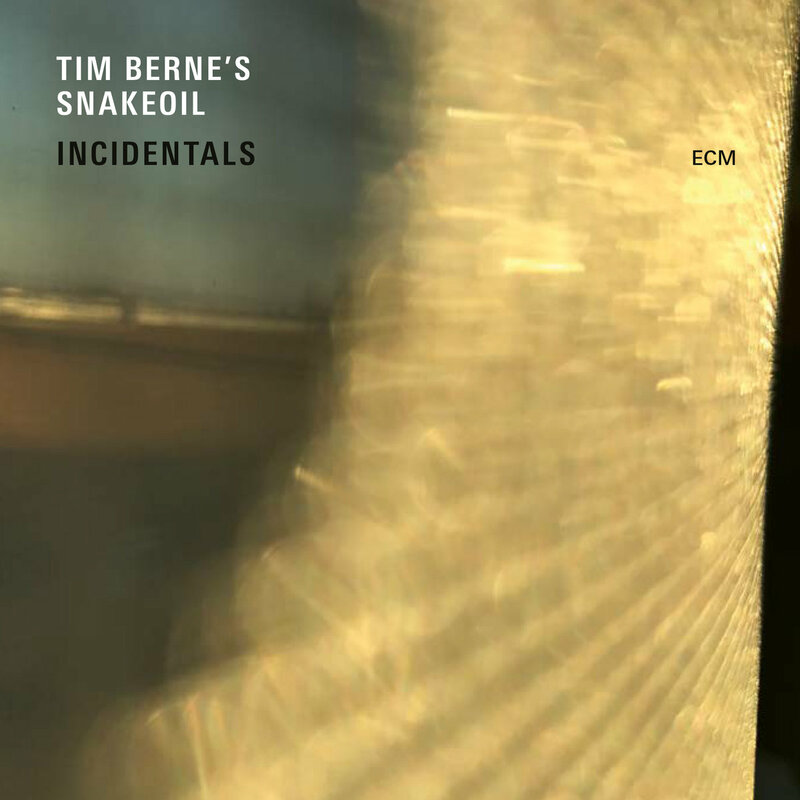 For this ECM leader date, number four for Berne, the alto saxophonist reteams with clarinetist Oscar Noriega, pianist Matt Mitchell, guitarist Ryan Ferreira and drummer/percussionist Ches Smith. In the fray is producer David Torn, contributing his guitar to two tracks. “Hora Feliz” showcases the craftsmanship of everyone involved, through which electronics nestle against acoustics as mountains meet sky. Torn sets the scene before the theme jumps into frame. Such awakening, a Berne staple, keeps listeners in check. As the interconnectedness and independence alike of these musicians develop, one comes to see shadow and light in Snakeoil not as opposites but as twins. Smith is a wonder. He lends no credence to grooves, taking his time, as in “Incidentals Contact,” to mark a beat, thereby furnishing Noriega with a fulcrum. He extemporizes at the margins while Noriega flaps his wings with abandon. “Stingray Shuffle” is another metropolis of sound, which, like “Prelude One/Sequel Too” (the album’s closer), keeps Ferreira’s fire in play around a reverie of higher notes before Berne commands his way to the finish line. But it’s “Sideshow” that gives us the goods and then some. Being the conclusion to a piece that began with “Small World In A Small Town” on this album’s predecessor, You’ve Been Watching Me, it has a past from which to draw. Mitchell does most of the lifting throughout its 26 minutes, responding as much as anticipating. Poetry shares breath with prose at every turn. Whether in Noriega’s sensitivity or Berne’s physicality, Smith’s blast of timpani or Ferreira’s finesse, the band demonstrates the ability of jazz to open doors you never knew existed. The truth of mastery lives on.